The 5KW - 48V, 96V, 120V, 220V, or 240V Lithium or Lead Acid Battery Solar Charge Controller can control a solar panel and transform solar energy into electricity to be stored in a battery bank. 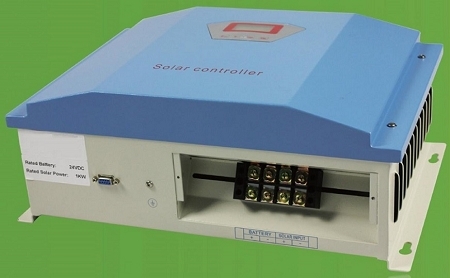 The Solar Controller is the most important part in the off-grid system because its performance affects life expectancy and the operation of the whole system, especially the battery expectancy. The battery service life will be shortened by overcharging or over discharging the battery. · Superior military-grade components to ensure product stability. · Perfect protection function for higher reliability of the system. · Can check and set all operation parameters as required from LCD display. · PWM stepless unload mode, which burns the excess power into dump load which makes the battery charge better. · Protection Functions: Battery over charge, Battery anti-reverse-connection, Solar reverse charge protection, Solar anti-reverse-connection, and lightning protection. · Standalone photovoltaic power station. 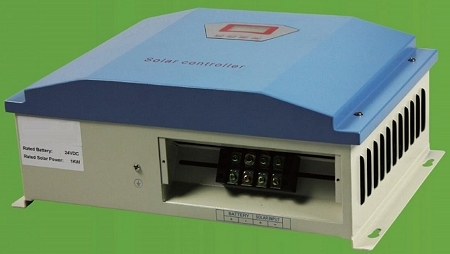 · Standalone domestic household photovoltaic power system. · Mobile communication base stations, expressway and other non-residential regions. · Coastal islands, remote mountain areas, and border posts for regions with shortage of or without electricity. · Government demonstration projects, landscape lighting projects etc.